Hi folks – Moonlight Shadow here, with a different style of blog. No silly jokes, no childrens cartoons, just a bit of historical discussion. Firstly, I’ll look at the men behind the plot, based on my own reading and research. Further blogs will consider the events themselves, and finally why we choose to celebrate on this day. The leader of the plot, and the “brains” behind it, was a man named Robert Catesby. To understand him, we need to understand he was powerful – a man of wealth and power, and influence. He also appears to have been a natural leader, a “hero figure”. I’m tempted to see him as little more than a politically ambitious individual, loyal as much to his own career and status as to his Faith. The really posh one – Thomas Percy- an aristocrat through and through, of the Percy family, we can assume that he was motivated by religious conviction, as well as an aristocratic sense of “adventure”. It is also worth noting that his own power and position was very much under threat in early 17th century England – he also had a lot to lose under current laws. John, or Jack, Wright – the swordsman. Argued to be the best blade in England, it remains unclear how true this was. It appears that he picked up his strong and radical Catholic leanings whilst at School in Yorkshire, with non other than Guy Fawkes. Thomas Wintour – The brains of the group (or at least, the educated one) – a lawyer, who spoke many languages, he seems to have developed an academic belief in the righteousness of his faith- a dangerous combination. And Guy Fawkes. Now, of them all, perhaps the least significant or influential, and yet the one we all rememeber. Of what we really know of him, there is little more than that he was a competent soldier, trained in the use of explosives, and seems to have developed a somewhat personal hatred of King James VI . Possibly one of the most vicious of the group, although other accounts have him down as shy and reserved, and of mild manners. 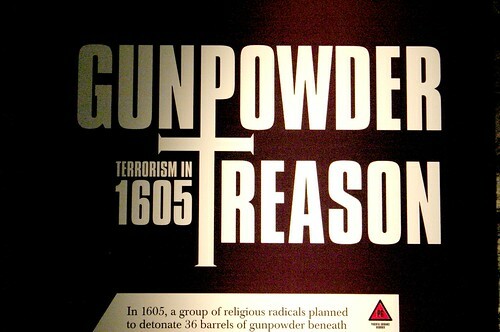 Click here to view a video of the Gunpowder plot. Robert Cecil, the Earl of Salisbury and James’ right-hand man hated Catholics and saw them as real troublemakers. Cecil was worried that King James would go softly on them during his reign and this irked him, to say the least. Cecil wanted Catholicism out of England altogether, the steps that King James were taken to expel priests was not enough for him. It is well known (amongst those who know) that James was very scared of meeting a violent end. Growing up in Scotland his life had been full of dangers; he was even kidnapped as a young boy. Cecil knew this and it’s possible he thought that by getting James to believe they had tried to blow him up would turn him against them for good. 36 barrels of gunpowder is a lot of powder. In those days the government tightly controlled all the gunpowder in Britain, so how did Guy Fawkes and co. get a hold of that much? Did they have a contact inside parliament? Why would a bunch of Catholics be allowed to rent a house so close to the Houses of Parliament or a cellar right underneath it? Seems a bit unlikely in those troubled times. Why search the parliament cellars on that night, for the first time in British history? What would inspire such a search? Convenient, almost too convenient. Why did the soldier who shot Robert Catesby and Thomas Percy at the shootout at Holbeach House receive such a large pension (allegedly 10p a day for life) as a reward? Surely these men would have been better taken alive so they could squeal on their co-conspirators. All intriguing and thought-provoking arguments, however, just like any good conspiracy, there are counter-arguments just as powerful. We will attack them in reverse order. Just to be different. The soldier had bravely fought and risked life and limb for his King and country, of course, he was due to a good pension. Although 10p a day seems a bit meagre by today’s standards it was a lot back then. The cellars were most likely searched because of Lord Monteagle’s letter. “What’s that?” I hear you say. I’m glad you asked. My lord out of the love I bear to some of youre frends I have a care of your preseruasion therefore I would advise you as you tender your life to devise some excuse to shift of your attendance at this parliament for god and man hath concurred to punish the wickedness of this time and think not slightly of this advertisement but retire youre self into youre control where you may expect the event in saftey for though there be no appearance of any stir yet I say they shall receive a terrible blow this parliament and yet they shall not see who hurts them this councel is not to be condemned because it may do you good and can do you no harm for the danger is passed as soon as you have burnt the letter and I hope god will give you the grace to make good use of it to whose holy protection I commend you. Monteagle had the note read aloud, possibly in an attempt to warn the plotters the secret was out and promptly handed it over to Robert Cecil who was the 1st Earl of Salisbury and the Secretary of State. The other conspirators learned of the letter the following day but resolved to go ahead with their plan after Fawkes inspected the undercroft and found that nothing had been touched. So, it seems from this that it was this letter from the traitor to the plot, Francis Tresham, that in the end tipped off big Cecil and foiled the plan. The plotters would all have been using fake names and concealed their true identities, indeed we know that Guy Fawkes was under the assumed alias “John Johnson” which is the lazy and quickly thought up the fake name a young miscreant might give when inadvertently having his collar felt by the rozzers today. Furthermore, Thomas Percy had contacts in the parliament and these were almost certainly used in obtaining the rented property for their devious scheme. 36 barrels of gunpowder is a lot of powder, but come on, anything can be obtained if you know the right people and have the hard cash. Guy Fawkes knew a lot of military types from his days in the Spanish army so this would have been a very easy obstacle for them. So if it was a big conspiracy, why did Fawkes not crack under torture and spill the beans? He was famously tough to interrogate (like Mel Gibson in Lethal Weapon) in fact the only one who cracked and talked was Thomas Winter and he made no mention of a double conspiracy. They all knew they would be executed one way or the other so why not snitch at this point as there was nothing left to lose. The other little-unanswered question here is Francis Tresham. He was the man who wrote the letter to Lord Monteagle and also the one man who was not killed or hanged with the others. He was locked in the Tower of London and allegedly died from taking poison on the 23rd December 1605. Where did he get the poison from? Did someone want him silenced? Was he poisoned at all or did he abscond in secret out of the country for his part in helping the government? It is almost certain the big Cecil was at it somehow although exactly how we will never know; in fact, all of these questions perhaps will never be answered. One thing that is for sure that the arguments over the conspiracy will rage on and continue to keep us entertained for many years to come. 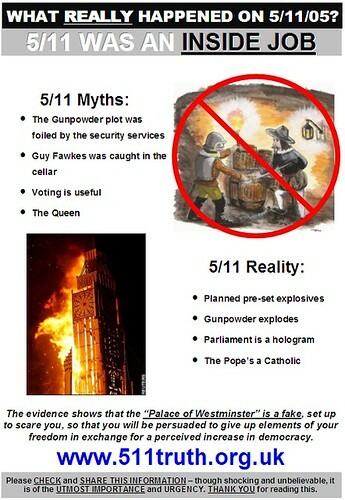 For more information on the history of the Gunpowder Plot and the events that led up to it visit the Epic Fireworks Learning Centre. 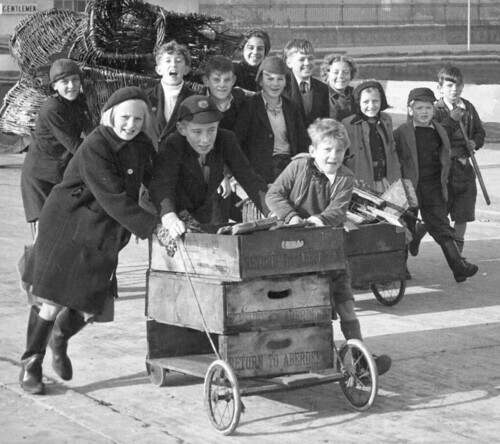 Yes kids, believe it or not, young people had to work for their entertainment in the olden days. Above you can see a group of rosy-cheeked youngsters out collecting firewood for their bonfire. In those days the bonfire was just as important as the fireworks and it was a matter of pride to ensure that your street/village/club had a bigger bonfire than your local rivals. It was not uncommon for young wags (wag meaning something different in those days, not the wife or girlfriend of a footballer) to sneak out to light the bonfire of their “enemies” the night before bonfire night, leaving them with a pile of ashes rather than a big pile of wood. Such acts often met similar retaliation and this could mean that no-one had a bonfire come the big night. Such is the nature of man. It was common in the good old days for everyone to get rid of all their old crap during the bonfire season. Anything that could burn would be thrown onto the pile. Busted old sofas, the obligatory smelly urine stained mattress (when not occupying a skip), broken doors, piles of old tyres that would billow out thick black toxic smoke for days. Nothing was banned from being thrown on a fire, after all, our fire had to be bigger than their. Nowadays, of course, you cannot burn a piece of wood if it has a dot of paint on it as this will pollute our clean air. We are all for clean air laws and would not condone burning anything that did not comply. But it did feel natural to launch practically any household item onto a fire, it was like a Spring cleaning, in Autumn and positively enforced community participation. And this is what is missing today; Community participation. The image above shows people dancing gaily (that meant something different in the olden days too) sharing each others company and coming together in a spirit of community. This was back in the days when people knew their neighbours’ forenames and surnames and spoke to each other more than just the morning nod as everyone jumps into their cars. Times were when a man felt like he belonged to street or town or village and did not just live there. The bonfire was an integral part of this belonging, and like bonfire festivals and events that still go on around the world is a vital part of bringing people together. After all, many people still call it Bonfire Night. What do you call the 5th of November? Leave us a comment and let us know.